Get ready for fuller hair and beautiful, camera-ready eyebrows, all in one compact! i.s. 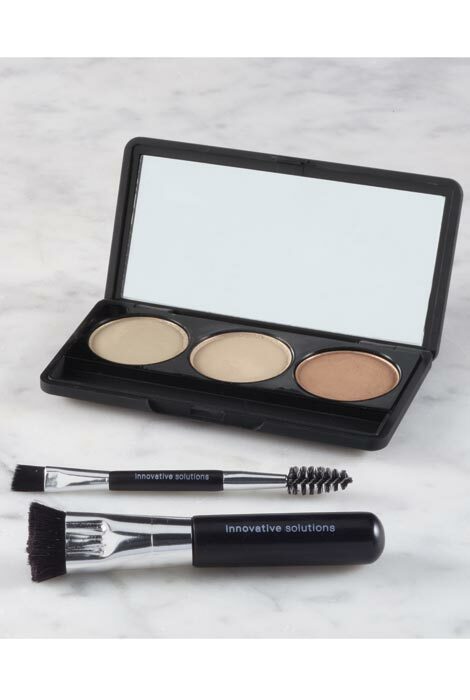 BEAUTY Professional Hair and Brow Filler palettes by Innovative Solutions feature three blendable shade pots for the perfect salon finish. 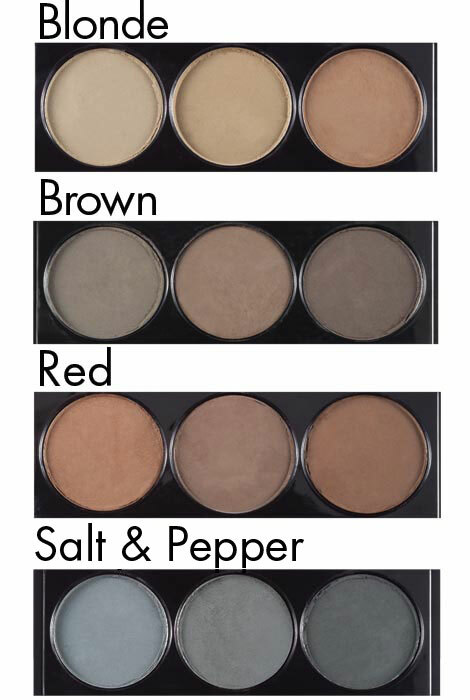 Highly pigmented eyebrow tint powder with rich colors blends flawlessly onto skin, hair and scalp for a natural, fabulous look. Multi functional ingredients encourage healthy hair growth, conditioning and nourishment. Eyebrow powder compact includes 2X mirror and two angled makeup brushes for precise, stain-free touch-ups and application. 0.2 oz. Handy to have two products together in one container. This is the color I have needed for my brows and hair, but it has been difficult to find. Don;t wast your money on this. Have used this product for a while and like the way it works for me. Excellent product. Colors are natural looking and lasts all day. Thought it might help with sparse eyebrows. We'll see. Love it. Have used it for several years. It really fills in what's missing! I'm trying this product; never used it before. I hope I won't be disappointed. Viewed a makeup artist apply hair powder to a model's hair, to fill in any sparse spots and to create the illusion of thicker hair. Use eye shadow now to cover up grays in between color. This states it's smudge/rub-off proof. Worth a try. 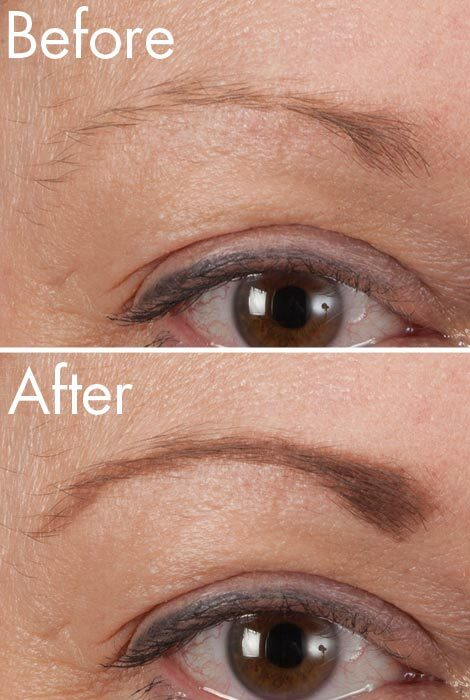 Love what is does to my beginning to disappear brows. NICE! Excellent product. Stays on all day. Hard to find this product. I like that it is for hair and brows. 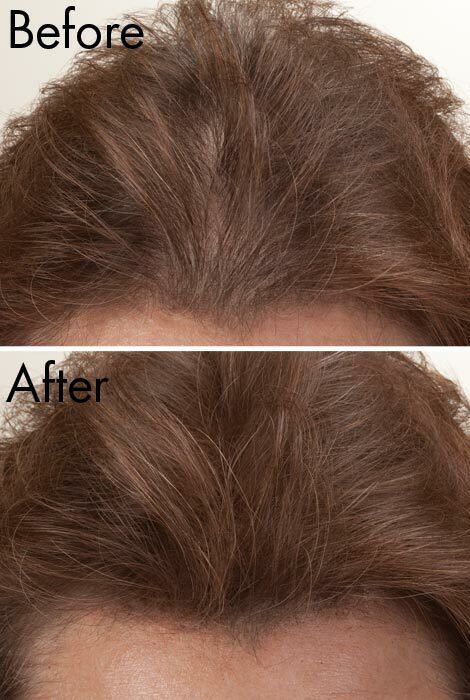 I have always used the Joan Rivers hair fill in with great results but will give this a try. The product blends well and doesn't smudge. I've used several other products, but this by far is the best. It matches my hair color and covers gray hair very well. Have salt and pepper hair, going to use it on my brows for a more natural look. My personal use with hair loss. i WANTED THE CONVENIENCE OF HAVING BOTH BROW AND HAIR FILLER IN ONE COMPACT. First time to try this product. I have thinning hair around my face. Interested in trying - have been using Joan Rivers Great Hair Day but have nothing to compare. This has a better color selection and I like that you can mix colors.